Earn $7.20 in Rewards credit (720 points) What's This? 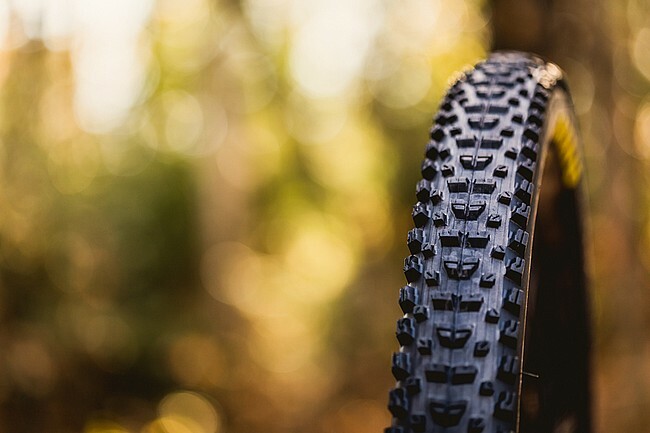 Maxxis' Rekon 27.5 x 2.4" 3C/EXO/TR MTB Tire is an aggressive trail tire for intermediate and technical terrain. Wide knobs down the middle provide control under braking and L-shaped side knobs assure support when carving loose turns. 3C MaxxTerra is a softer tire compound offering more traction, better tread wear, and less rolling resistance. EXO Sidewall Protection consists of an extremely cut- and abrasion-resistant material that's integrated into the sidewalls. The WT casing works great on 30mm (inner) wide rims, the profile is much rounder than traditional casings and the side knobs are better positioned for cornering. I'm not sure if Maxxis has changedimproved materials for their tubeless ready tires but these Rekons are holding air much better than my old Minions or Ardents, so far I'm losing approx. 1-2 psi per week with the Rekons vs. 5-10 psi for the others. I'll update my review once I've had a chance to properly beat these tires up on the trail.